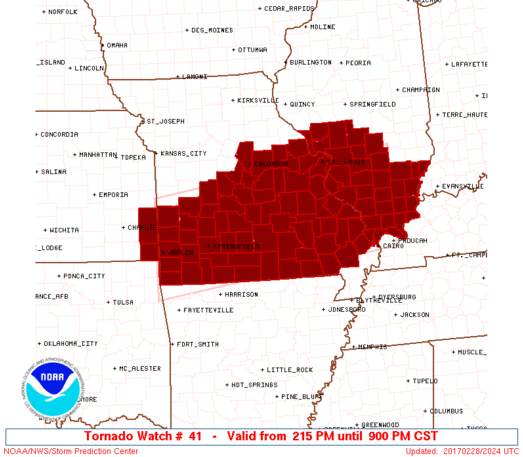 Tornado Watches have now been issued for parts of Missouri, Illinois, Iowa, Indiana, and Kansas through tonight. Along with a few strong tornadoes, damaging winds up to 70 mph and very large hail are also possible. 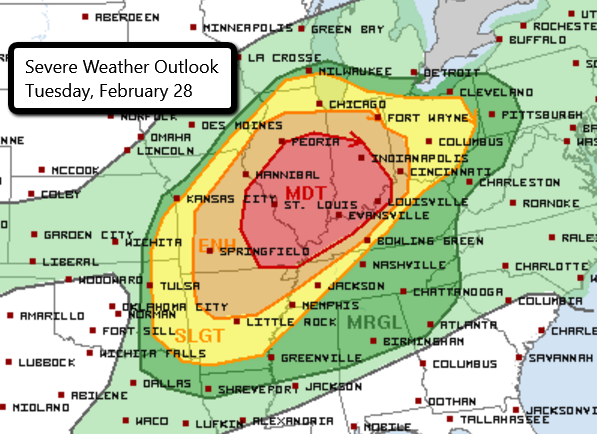 There is now a MODERATE risk for severe weather late this afternoon and into the overnight hours for parts of Missouri, Illinois, Indiana, and Kentucky. This includes Indianapolis, Evansville, St. Louis, Springfield, and Louisville. Storms are expected to develop later this afternoon in parts of the Mississippi River Valley and spread eastward into tonight. These storms will produce large hail and damaging wind gusts. 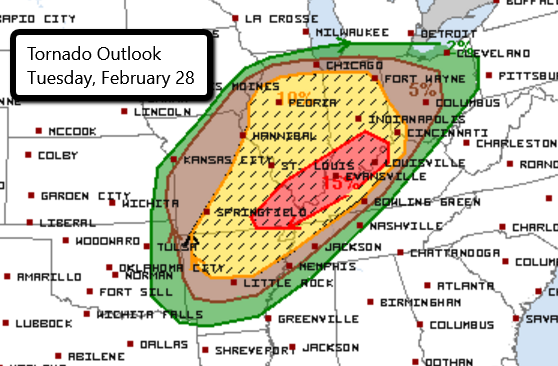 The risk for tornadoes has increased from earlier today. It is imperative that you have a way to receive severe weather alerts while you are sleeping! 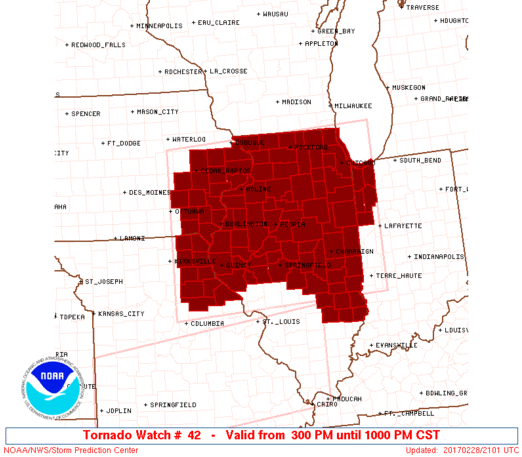 The area with the greatest potential of seeing a tornado or two is from southeastern Missouri through southern Illinois and Indiana into western and northwestern Kentucky. This includes Evansville, IN and Louisville, KY. Stay weather aware today! Check out our LIVE chaser streams here! We’ll have chasers in the field throughout this event.